If you are one of those bloggers who are considering joining Postjoint then think again. You might be sleepwalking into a Google Penalty. Google clearly states that you shouldn't be accepting money for links. These people over at PostJoint are claiming that guest posts and paid or sponsored posts are two different things but in reality, they are the same thing – just the terminology is different. Google clearly states that talking money for links is not acceptable to them. Unless you don’t care about traffic from Google then it might be OK to join this site. Most of the blog posts offered are of low quality of around 500 words and filled with a few links. Most of the people who are offering posts seem to be SEO technicians and freelancers posing as bloggers looking for links for their client’s site. While the clients are of the view that their SEO company are working for their website and making it rank better; little do they know that anchored keywords and text-links hardly matter any more in the world of SEO. These SEO technicians hired for getting back links are involved in numerous black SEO techniques and will perhaps harm their client’s site. Secondly, PostJoint are quick to limit your access. If someone complains about you, you're account will be limited within hours. I got mine limited because someone happened to complain about me. Rather than allowing me to reverse my decision to un-publish the post, they limited my access to the system. Think about it, your blog your decision to publish or not publish a post and no one else's. I was going to terminate my account with them anyway as I was inundated with emails from them about guest post offers most of them unrelated. Since the system was not working in my favour and felt as if the registered blog I had with them was looked upon as a blog that could pass link juice and as a source of cheap or free back links. This is what happened to me? Basically, if you happen to accept a post and then decide to un-publish it for whatever reason then you will be banned from their site till you publish that post again. Although they gave me an option to solve the problem but the only way to solve it was to republish the guest post which I was not willing to do. Since you can only see a small snippet of the actual post, you don’t really know what the rest of the post is is all about. Now if you do decide to accept a post then the whole article will be revealed to you if the other side decides to accept your offer. You then have to publish the post whether you like it or not. And if you don’t, you will receive a message just the one above that your account is limited till you sort the issue out. I am not one of those people to be dictated by anyone what to publish and what not to. If I wish to un-publish a post on my blog especially if I have not taken any money from it, then it’s my prerogative if I want to un-publish the post or not. Now that PostJoint have restricted my account so be it, I do not really wish to use their services anyway as I was wary of their methodology and their hard-hearted method in accepting and rejecting blogs. So I would suggest staying away from companies like PostJoint who offer money in exchange of guest post or paid posts as I see them as the same thing. If you care about your blog and care about traffic from Google and want to stay in their good books then the services of PostJoint is best avoided. It’s against Google’s terms and condition to take money for links even if its guest posts. If you are trying to get accepted in their system then most likely you will not be accepted. Many of my blogs were rejected. Your blog will not be accepted despite having good SEO metrics including high page rank. I cannot confirm this but I have a feeling that they are concentrating on Alexa rankings when accepting and rejecting blogs in their programme. You will get lots of emails from them from their automated system about offers. Sadly many of these offers will be unrelated to your niche. You just get to see excerpts of the guest post offered. You really don’t know what the rest of the post contains. Once accepted to publish, you will not be allowed to change your mind and if you refuse your account will be restricted. Currently it’s free to use but it’s a business rule – give it away for and get “em” hooked and then ask for money. Their whole system might change and who knows if you will have to pay. You cannot un-publish what you have already published and if you do, your account will be restricted just like mine. It seems to me that most guest posts offered are from SEO technicians who are doing more harm to their client’s site then doing good and in the long run, your site will also be affected. Most posts offered are between $10 and $30. It’s not worth accepting low quality posts in exchange of such low amounts of money. Most guest posts offers I have received were about 500 words of length. How long does it take for an SEO technician to create a rehashed copy-scape free article? Probably 20 minutes!! There are no incentives for them to craft great articles. All you get is cheap 500 word article of no value what so ever. In fact, copy-scape is easy to trick. There are hordes of article spinners that can do the job. Who knows how many of these SEO guys are busy spinning articles and one of them could even land on your site. Can you imagine how much harm you can do to your site? Given that it’s getting harder and harder to rank well in the search engines, can you really take any risks with your blog for mere few dollars. Don’t forget the Panda and Penguin penalties, it’s like inviting these animals on your site and letting them run amok. You will be giving away your site’s SEO metrics away for a mere $10 to $30. If you value your site then you can make more money from other risk-free techniques then by selling links. I read somewhere that the fees are about $3 for a guest post of $10. So if you accept a guest post, you will probably be left with about $6 dollars when theirs and the PayPal fees are taken off. 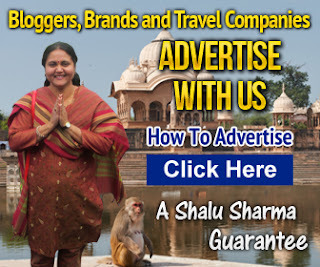 It seems to me that the many guest posts offered to bloggers are by SEO companies and their technicians who have in turn outsourced their work to freelancers who then in turn are prying on blogs just like yours for cheap links. If you take part in selling links then you could loose a lot of hard work. Blogging is not an easy thing to do and making money from is lot harder than it seems. Buying and selling links be it guest posts or paid/sponsored posts - it just does not cut it. I hope my PostJoint review have helped you decided if you want to use their services or not.